May has been designated as National Physical Fitness and Sports Month to raise awareness about the importance of active living. May is a great time to challenge yourself to get active, fit and healthy! The U.S. Dept. of Health and Human Services' Physical Activity Guidelines for Americans recommends that adults get at least 2½ hours of moderately to vigorously intense physical activity per week. Regularly physical activity helps you maintain a healthy weight, lower your cholesterol and blood pressure, reduces your risk of heart disease, diabetes, some cancers, and obesity, and can also improve your mental health. Getting started can be as easy as doing everyday tasks such as cleaning the house or walking the dog! May is also Melanoma/Skin Cancer Detection and Prevention Month. As you start to get outdoors more with the changing seasons, keep in mind the risk of developing skin cancer with sun exposure. There are a few different types of skin cancer, which you can learn about here. To prevent skin cancer, The Skin Cancer Foundation recommends using sunscreen, but sunscreen alone is not enough. 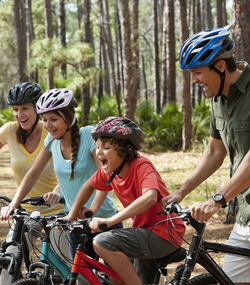 Check out their prevention guidelines for more information about sun protection. Are you doing everything you can to stay safe in the sun? Take the American Cancer Society’s Sun Safety Quiz to test your knowledge. 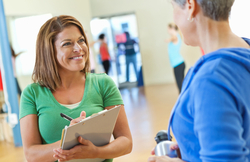 AlaskaCare, in partnership with ActiveHealth Management, offers onsite health coaching. This is an opportunity for you to meet with your coach for 20 minutes to talk privately about your own specific wellness goals at no cost to you. Our health coaches will be traveling to locations outside of Anchorage and Juneau over the next few months. Check out the list of the dates and times. Arm circles are a simple and easy exercise you can do anywhere. They require little time, yet are beneficial if you do them regularly. Arm circles strengthen your shoulders and arms and can also function as a warm-up for further exercise. Since this requires little concentration, this is a great exercise to try at home while watching TV or on a break at the office! Summer is just around the corner! 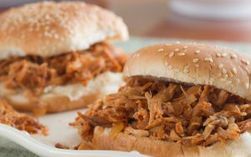 Get warmed up for barbecue season with this low-calorie, low-fat recipe for pulled chicken barbecue sandwiches. No barbecue is complete without coleslaw. 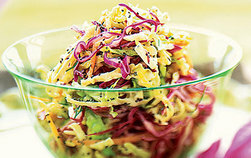 Try this colorful confetti slaw for a healthy and refreshing addition to a great summery meal.